The chick embryo chorioallantoic membrane (CAM) is an extraembryonic membrane which serves as a gas exchange surface and its function is supported by a dense capillary network. 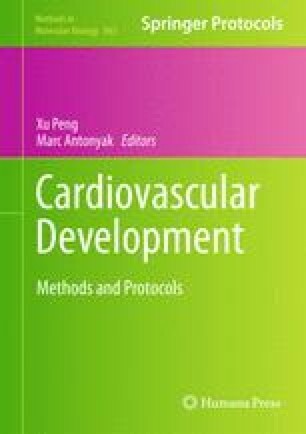 Because of its extensive vascularization and easy accessibility, the CAM has been broadly used to study the morphofunctional aspects of the angiogenesis process in vivo and to investigate the efficacy and mechanisms of action of proangiogenic and antiangiogenic natural and synthetic molecules. The CAM has long been a favored system for the study of tumor angiogenesis and metastasis, because at this stage the chick immunocompetence system is not fully developed and the conditions for rejection have not been established. The CAM may also be used to verify the ability to inhibit the growth of capillaries by implanting tumors onto the CAM and by comparing tumor growth and vascularization with or without the administration of an antiangiogenic molecule. Other studies using the tumor cells/CAM model have focused on the invasion of the chorionic epithelium and the blood vessels by tumor cells. The cells invade the epithelium and the mesenchymal connective tissue below, where they are found in the form of a dense bed of blood vessels, which is a target for intravasation. Supported in part by MIUR (PRIN 2007), Rome, and Fondazione Cassa di Risparmio di Puglia, Bari, Italy.